Like what you see? Subscribe today and tell a friend. It all started in Atlanta. Several years back Joe Rink, executive director of the End Violence Project (EVP) and the person responsible for overall program delivery and expansion, trained a group to lead EVP programs in Atlanta prisons. In that group was Coral Crew-Noble, a Jamaican woman born and raised in England. She went on to become an Introduction Leader Program (ILP) classroom leader with Landmark Education. 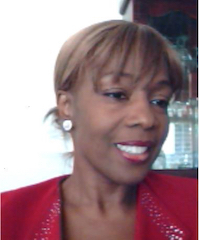 She was leading a classroom in Jamaica when she reconnected with Joe Rink with the intention of bringing EVP programs to the island nation in the Caribbean. Crew-Noble knew the Jamaican Minister of National Security who was, at that time, Peter Bunting, also a graduate of Landmark Education and the ILP. She had talked with him about EVP and the program sparked interest. In January 2014 Rink went down to Jamaica to lead an introduction to the Landmark Forum for their ILP classroom, and also to meet Peter Bunting for the first time. “I didn’t think anything would come of it,” Rink recalls. He gave Bunting a basic information packet about EVP programs, they chatted a bit and he thought that was the end of it. 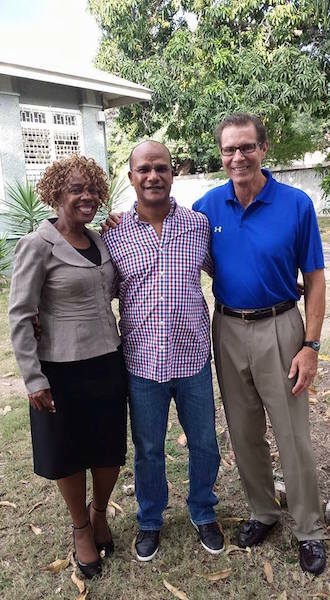 “I didn’t even think it was possible based on the way their prison system was structured.” To his surprise, a year later he heard from Crew-Noble that Bunting was interested in implementing the program in a Jamaica prison. Rink and Novack led to a group of leaders and 45 inmates. Rink remembers standing in the outdoor chapel where the orientation was being held. He took the microphone and walked around the aisles, looking the men in their eyes. 43 inmates registered to do the program. Then the guards spoke up and asked, How about us? A parallel program was started with the staff two weeks prior to starting with the inmates. They had gotten this far but Rink still had some doubts. In a culture where there is a weak relationship to commitment, to following through and being one’s word, how would the program prevail if there weren’t enough leaders to lead? Of half dozen or so leaders initially trained, only two, plus Crew-Noble, actually led the program. In fact, when asked if apologizing is a good way to avoid conflicts, 33% of the 24 respondents (8 persons) were in strong agreement with this statement in the pre-test compared to 63% (15 persons) in the post-test. As the program got started, the leaders had to take into consideration that some of the guys couldn’t read and note taking wasn’t an option. Nonetheless, Rink knew things were taking root a few weeks into the program as Crew-Noble reported how the staff was taking it into their own lives and making a difference in their families. We say special thanks to our team in Jamaica for these thorough reports, the best collections of hard data to date, to demonstrate the effectiveness of End Violence Project programs. In 2015 the End Violence Project selected William Abbott of Auburn, Washington, as the first ever Mahin Bina Memorial Scholarship winner, an annual award program that recognizes returning citizens (men or women formerly incarcerated in a U.S. state or federal correctional institution) who are furthering their education and demonstrating leadership in their communities. Abbott learned about the scholarship through Seattle Central where he’s earning his associate’s degree. 10 years ago, he never thought he’d have more than a GED. Now Abbott is four credits away from an associate’s degree in Social and Human Services at Seattle Central and has already been accepted to several schools for bachelor’s programs. His top pick is University of Washington, the third highest ranked school in the nation for social work. Abbott has a passion for helping addicts as well as the homeless and disadvantaged, and people who are coming out of prison. “Like the president says, we don’t shoot our wounded,” he states. “We go out there and get them and bring them back where they belong.” He is planning to go on to complete the master’s program and get a doctorate. Abbott is currently a full-time student and a full-time single dad to an 11-year-old son who is high-functioning autistic. He also has a 17-year-old daughter in California who comes to visit regularly. For the sake of his dream of higher education and contribution to the underprivileged, Abbott seeks out scholarships and student loans to help pay the rent and the car payment, and make sure his son has a nutritious lunch every day. Once he had about two years clean, Abbott made a decision that he wanted to help people. He started going to school and was introduced to the Post-Prison Education Program (PPEP) where he did 330 hours of field placement and then got hired on. The End Violence Project is now accepting applications for the 2016 Mahin Bina Memorial Scholarship program. n each newsletter we will introduce you to an End Violence Project volunteer, including leaders and facilitators in and outside of prisons, as well as board members and others associated with our work. This month, meet Coral Crew-Noble. I was born and grew up in London, England. As an adult, I have lived throughout the United States (Houston, TX, Los Angeles, CA, Atlanta, GA) before I made the “temporary” move to Jamaica to take care of my mom in 2011. And then I decided to stay! How do you spend time when you’re not volunteering for EVP? I coordinate Unite for Change a national initiative for the Ministry of National Security in Jamaica aimed at empowering citizens, governmental ministries, departments and agencies, small businesses, faith-based organizations, community based organizations and NGOs to work together in reducing the high rates of crime and violence. In my free time, I love to spend time on the beach, get away for a weekend in the U.S. with friends or to visit family in Canada or the U.K.
How did you become involved in the EVP? In 2008, while living in Atlanta, Wendy Lippard (EVP Board Member) and I were Introduction Leaders together. Wendy shared about the EVP and I was so inspired by Wendy’s courage and power that I attended an EVP training in South Carolina (led by Joe Rink). I was unable to commit to leading at that time due to my mom’s health. In 2013, I was leading the Introduction Leaders Program in Jamaica and Joe Rink came back into my life as my coach. I thought, “What is the universe trying to tell me?” I knew the Minister of National Security in Jamaica (Peter Bunting) was a Landmark graduate and knew how distraught he was about the rate of crime and violence in Jamaica. I connected Joe Rink and Peter Bunting and the rest became history! Can you recall a favorite moment from one of the programs? I recalled when one 26 year-old 6’2” guy got the difference between restorative and retributive justice. He had missed multiple EVP sessions because he kept going into “lock-up” for fighting. In the completion session he shared that he forgave the person who stabbed him, and, as a result, he chose not to stab him back. He got that he could choose his actions, and didn’t have to be goaded into responding violently. Another man delayed his parole until after the end of the EVP program so he could complete it. When Peter Bunting (the now former Minister of National Security) attended the last EVP training in January 2015, he predicted if the EVP was in the prisons for two years violent crimes in Jamaica would be reduced by half. So the plan on the table with the department of corrections is to expand the EVP into the two largest (maximum security) prisons in Jamaica. Combined, they house more than 50% of the total incarcerated population.